I am going to let you in on a secret today. I love chocolate! 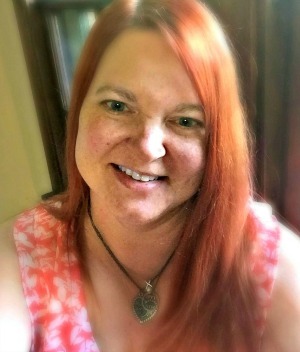 I have always had a sweet tooth and when I made the change to real food, I thought that I would have to give up the goodness that is chocolate syrup. One glance at a typical chocolate syrup in the bottle and you will see that the first two ingredients are corn syrup and high fructose corn syrup. These are two ingredients that I really try to avoid because corn is a highly GMO product. I don’t want that junk in my body. Now for some good news for all of you chocolate loving folks out there. Real food chocolate syrup is about the easiest thing in the world to make. Two beautiful ingredients and that’s it. I use an organic dark chocolate cocoa because that is what I like. It is really dark in color. Your chocolate syrup color will vary depending on the cocoa you use. I get asked all of the time if you can “taste the maple syrup”. My answer is, “No, it tastes like chocolate syrup.” It’s sticky, it’s sweet, and it’s 100% delicious. 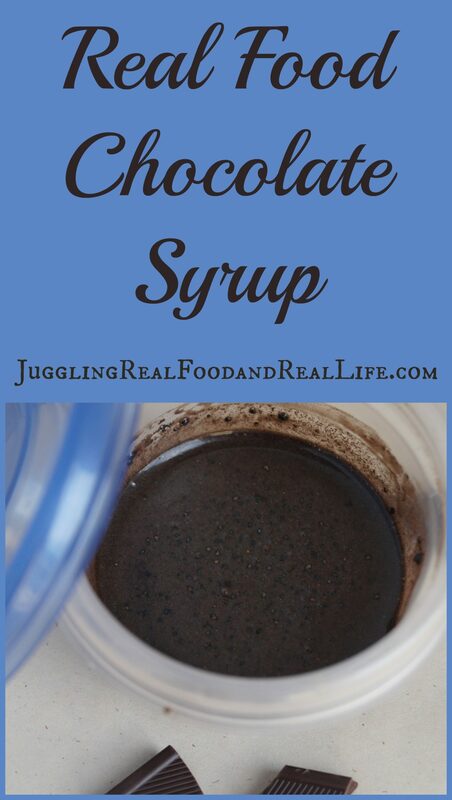 You can use this chocolate syrup in all of the ways that you would use any other chocolate syrup. You can make chocolate milk, hot chocolate, and use as a topping on your homemade ice cream. I’ll be back soon to share with you my favorite way to use my real food chocolate syrup. It is AWESOME! Pour maple syrup into Ziploc round container. Continue stirring until the cocoa is fully encorporated and there are no lumps. We recommend using organic ingredients when available. If you are interested in the Ziploc containers that I use to mix and store the chocolate syrup you can grab them through my Amazon affiliate link. As a reminder, if you make a purchase through my link, Amazon will pay me a small referral. Find the Ziploc round containers here. What are your favorite uses for chocolate syrup? Who do you know that loves chocolate? Leave me a comment below. I can’t wait to hear from you. 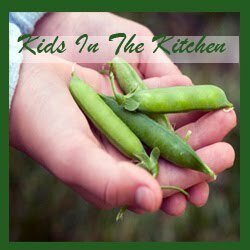 For more simple recipes your family is sure to love make sure you check out my recipe index. I am adding new recipes all of the time so make sure you check back often. You will also want to grab this free meal-planning printable calendar to make your meal planning easier. It has areas to plan your daily activities and your evening meal prep. Stopping by from the Let’s Get Real Friday Party. I’ve never seen such a simple recipe for chocolate syrup. Does it freeze up on ice cream?